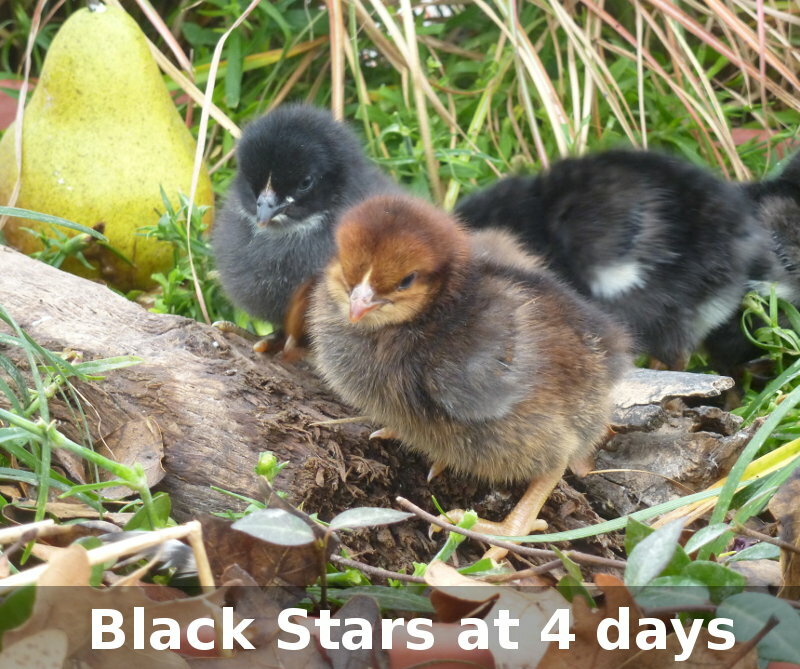 Black Star hens are a prolific layer of brown eggs. 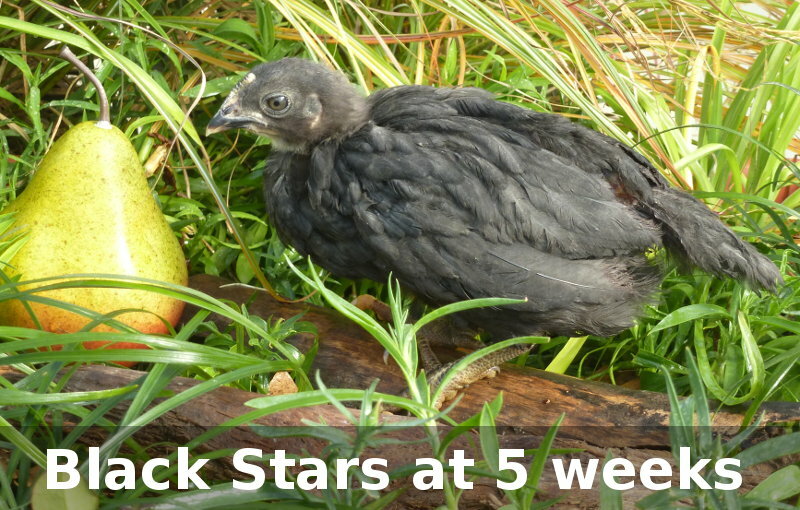 They are a cross between a Rhode Island Red Rooster and a Barred Rock hen. 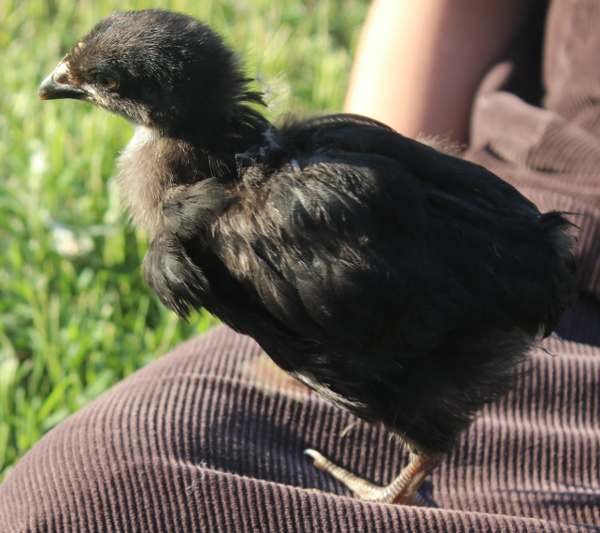 This crossing produces a chick that can be sexed by the color of the chicks. 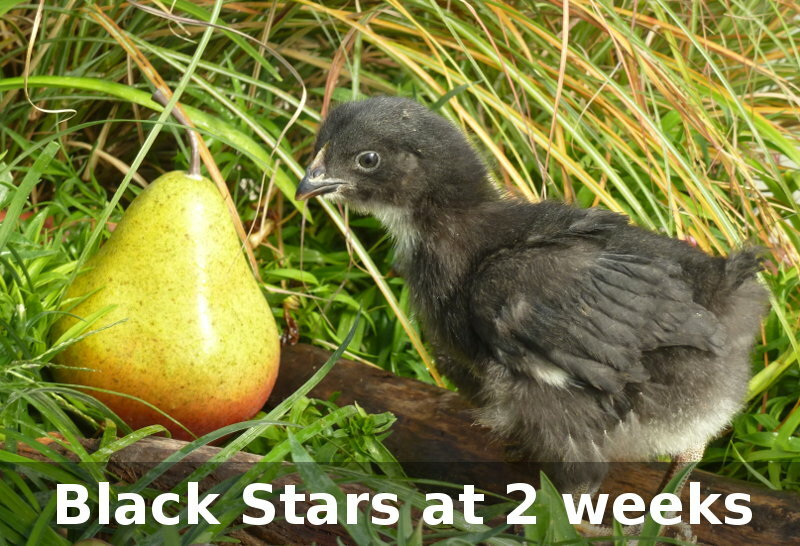 As a hybrid, they are extra good layers due to the Heterosis or hybrid vigor effect. 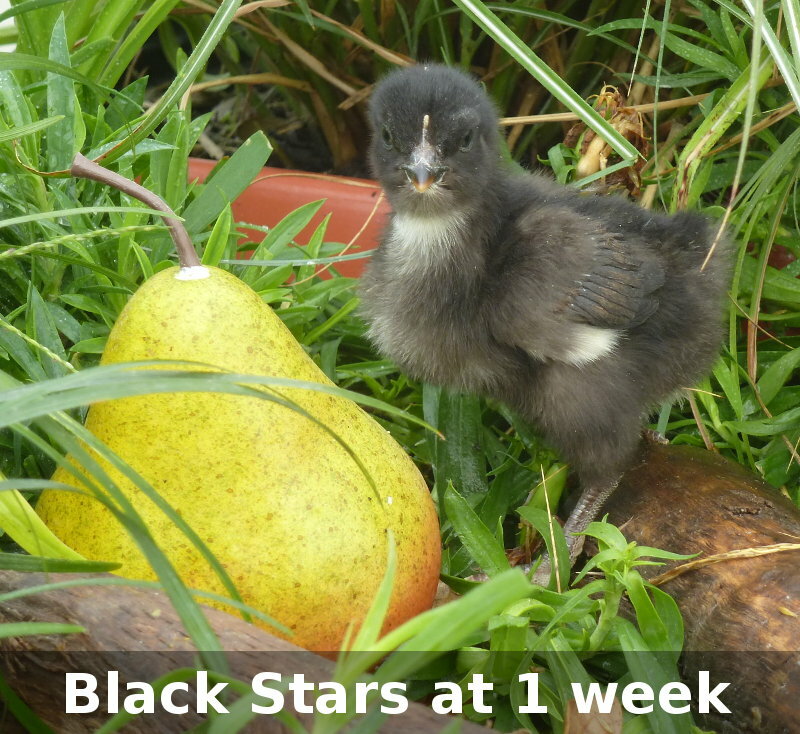 Depending on feed and quality of care, they can produce over 300 eggs a year. 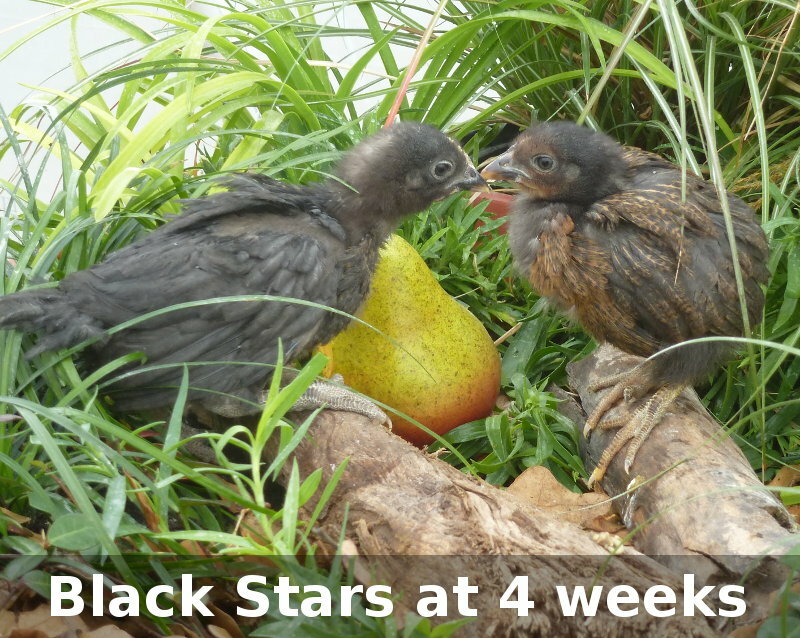 At 4-6 weeks the Black Stars go through a mini-molt. 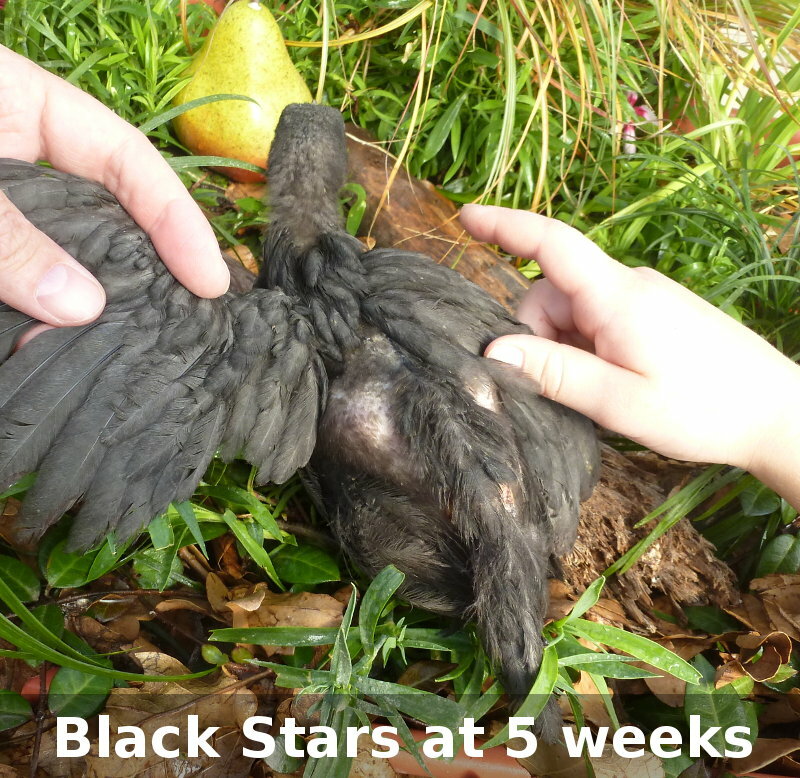 At that age they may exhibit down loss with out feather growth. 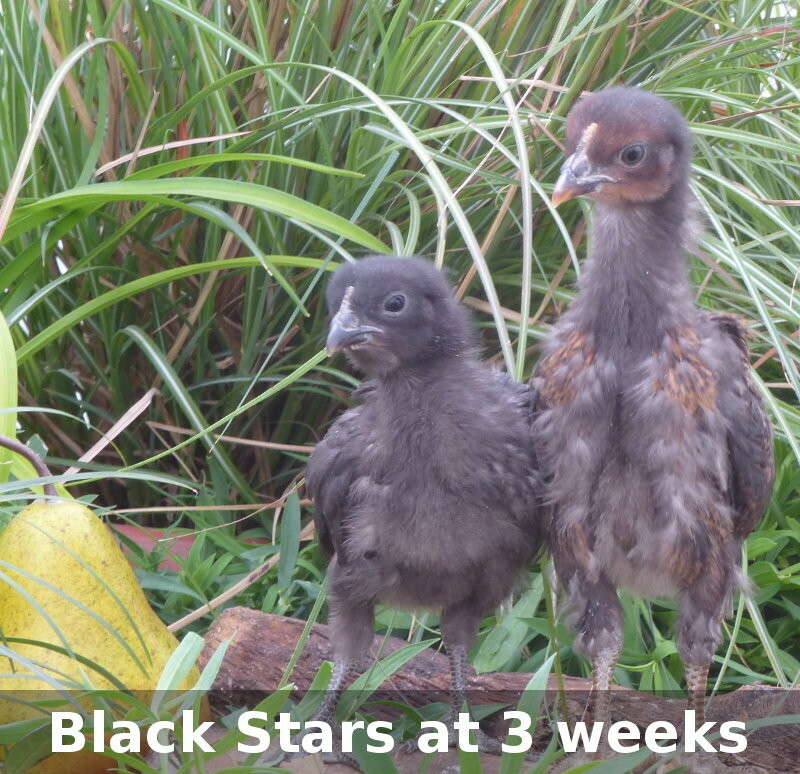 Normally by 8 weeks the feathers have caught up with their growth. One of the pictures below shows the down loss.